Craig Kinzer is a sports booster who helped clear the land for the publicly financed Safeco Field in the 1990s. Now he’s turned into the No. 1 critic of a new lease deal for the stadium that includes $180 million in public money. What happened? The first thing Craig Kinzer wants you to know is that he loves pro sports. This isn’t about the game. 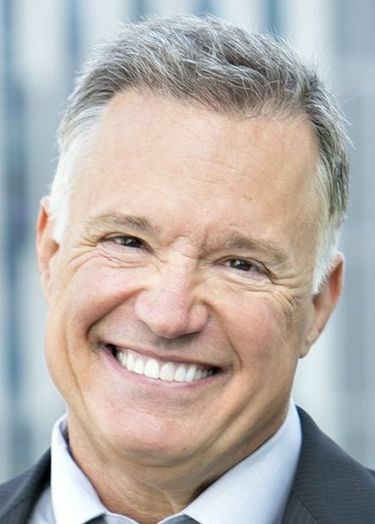 The man who has been called Seattle’s “top real-estate rainmaker” is a fervent believer in the power of sports to bring a city together. He’s also a huge booster of using taxpayer money for stadiums. As the one hired to help relocate 30 businesses in the 1990s to make way for Safeco Field, he is one of that ballpark’s godparents. So it’s more than a little jarring — and newsworthy — to hear exactly what Kinzer is saying now. In the wake of an $800 million deal to extend the team’s lease, Kinzer has become its biggest critic. The deal, announced in May, has been reported on as controversial almost solely because it includes $180 million in hotel-motel tax money from King County. But Kinzer says that’s the least of the deal’s flaws. He claims that potentially hundreds of millions more in public money has been negotiated away. He’s got some ammunition because as the head of Kinzer Partners, he negotiates complex real estate deals for a living. He also serves on the board of the state Public Facilities District (PFD) that in May signed off on the deal. Kinzer, who voted against the deal, said at the May PFD meeting that he had “never seen such a poorly managed negotiation of a deal of this size in my 35-year career,” according to meeting minutes. Somehow that didn’t make it into any of the news releases from the team or the PFD announcing the deal. Kinzer became so concerned that this was a raw deal for the public — obsessed might be a better word — that he spent $30,000 of his company’s resources creating what he calls an “econometric model” to analyze the complex stadium leases. (The old one, which is in effect through 2018, has 168 provisions spread over 134 pages.) His model is basically a fancy Excel spreadsheet that can compare the economic assumptions of the old lease to the proposed new one. One example of what Kinzer’s talking about is what happens if the team is sold to outside investors. In the old lease, the public got 20 percent of the net sales profit if the team was sold to outside investors, up to a maximum of $20 million. The premise at the time was that the public had saved the team by building it a stadium, and so the public was made into a minor profit-sharing partner. When that lease agreement was signed in 1996, the rationale for picking $20 million as a profit-sharing cap was because the team had recently sold for $100 million. But now the Mariners have an estimated value of $1.45 billion. The value has been doubling every five years. The team could conceivably be worth $4 billion or more by, say, 2030. Yet what would the public get for its share of any sale profit in 2030 under this new lease? We’d get the same $20 million! Under the new lease, Kinzer argued to the board, it will be harder if not impossible to know if the team owners are making a profit, and consequently whether they even need any public money for the stadium. That’s because the old lease required annual profit-and-loss reports by the Mariners, a sort of financial audit of the team. The new lease ends this audit oversight, Kinzer said. With this new lease, “public money and the hotel-motel tax will eventually go into the pockets of the owners, either through annual distributions and/or sale of the club,” he warned, according to the meeting minutes. Kinzer has been making this case to King County Council members, who are set to meet again on the $185 million taxpayer contribution on Aug. 29. He says he hasn’t gotten much response. His message: The lease needs to be redone. As for his many friends in politics and the pro sports business community, I asked him: Do they now see you as a traitor? Good luck with that. My experience is that sports is more of a fever dream. The whole topic of public financing of private, for-profit sports franchises has never been known for its logic. But I’m a newspaper carper. Kinzer was a former part-owner of the Sonics NBA team. He runs in these circles. So when he is the one sounding the alarm that our money is heading into the pockets of rich private sports owners, shouldn’t we maybe pause a bit, and listen?